Thank you for your interest. We are happy to offer you our home in this fabulous Resort & Golf community only about 10 min from Busch Gardens & Adventure Island and 25 min north of the convention center, Florida Aquarium and less than 60 minutes to Disney World. Our home is located in New Tampa's world renowned resort area of Saddlebrook which is ranked nr 1 in Florida as most popular Golf & SPA Destination and nr 2 in the entire USA. 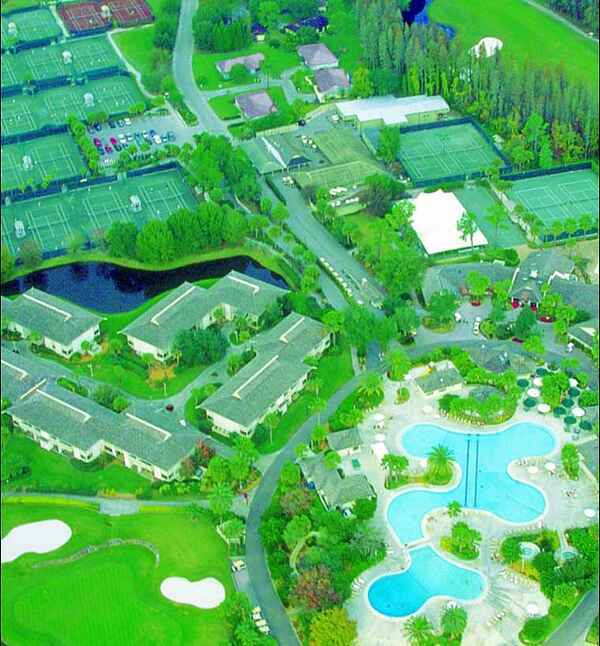 The community of Saddlebrook Golf & Country Club is renowned for its stylish SPA, fantastic Golf & World Class Tennis. The Saddlebrook Golf & Country Club community has been home to celebrities such as General Schwartzkopf, tennis stars: Martina Hingues & Jennifer Capriati. For tennis enthusiasts join the ranks of such superstars as James Blake and John Isner who call Saddlebrook their preferred training center. Sip on an evening drink with a golf course view. Live in a real upscale community for families, golfers or professionals with a busy lifestyle in a deluxe Resort setting. GOLF - two 18-hole Arnold Palmer Signature Courses. The 2 Arnold Palmer Golf Courses are open to the public and we can help you book tee times for you with up to 50% discount. - The Arnold Palmer’s Resort Course is the tougher course and has PGA Tour Class finish. - The Palmer Course is slightly easier and always in the best conditions. DRIVING RANGE: The driving range and golf practice areas can be used in conjunction with paid green fee for the same day. GOLF ACADEMY – Saddlebrook is home the World Headquarters of Arnold Palmer Academy. This is a world renowned professional training center for golf. Come train at the Arnold Palmer Golf Academy. POOL: We have a Jacuzzi Hot-tub-pool onsite at home. You want Florida, you want it all, and you only want to unpack once. No problem! You want Tampa Bay. There’s a sunny side to this West Coast community that makes this a true hot spot among the world’s destinations. Naturally there’s lots of water and sunshine. But you’ll also discover an area that’s full of rich arts, professional sports, sights to see and things to doyou won’t find anywhere else. Whatever your pleasure, you'll find it in Tampa Bay! Here, a single day's itinerary might include breakfast at a waterside cafe, a visit to Busch Gardens Africa, The Florida Aquarium, a streetcar ride to Channelside for shopping, a Tampa Bay Buccaneers, Tampa Bay Rays, or a Lightning game. Then on to historic Ybor City where the Cuban sandwiches are hot and crisp, the cigars are hand-rolled, and the colorful streets are lined with fun. Take advantage of an afternoon of sporting events throughout Tampa Bay. There's an all-star lineup waiting as you step up to the plate for a professional or minor league baseball game, score a hole-in-one on one at one of our championship golf courses, breakaway with the Stanley Cup celebrants, or cheer along at just one of the college bowl games and championships coming to Tampa Bay. What next? White, sugar sand beaches, sport fishing, jet skiing, parasailing, and join the party in January as rowdy swashbucklers invade Tampa Bay for the Annual Gasparilla Pirate Festival. Whether you are visiting for a vacation or a convention, Tampa Bay & Company is your official source for destination information on Tampa and Hillsborough County. So pack your flip flops and sunglasses and prepare for an amazing getaway in fun-filled Tampa Bay! From the mouth-watering restaurants to the incredible entertainment, see why Tampa Bay is a popular vacation destination for savvy travelers looking to get the most out of their Florida vacation. Tampa Bay... there's no better way to experience Florida.